This 'third hand' securely holds small objects in any position and leaves your hands free for holding soldering iron, solder, paint brush, glue bottle, etc. 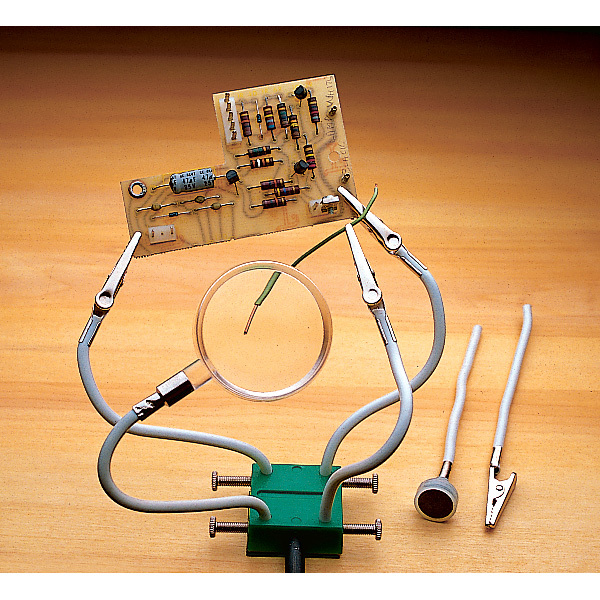 Especially useful for solder assembly of multiple components. Clamps hold your first joint together so if you heat it again to add items the first joint won't fall apart. 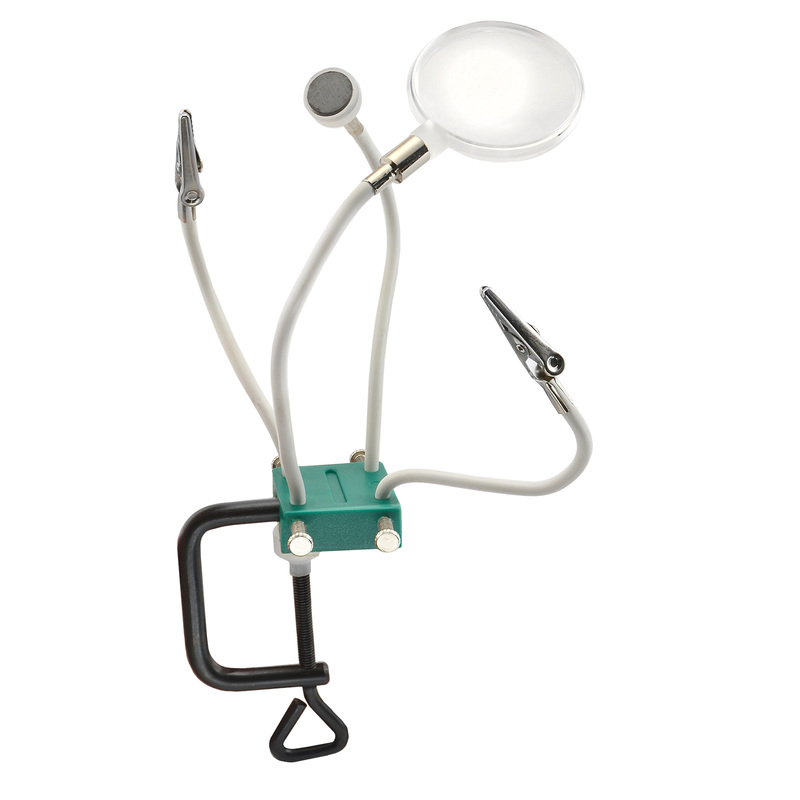 Includes 4 alligator clamps, 2 inch magnifier and magnet. 5 inch long flexible arms bend to any position. Set screws in base let you use the six components in any combination. Includes clamp for mounting base to any workbench up to 1-1/4 inches thick.